Another week is done in my Project 52 album. The weeks just seem to fly by and this had both some "thank goodness it's over moments & some "Awww... it's a senior year last time" moment. I don't do this often, but I decided to blur my journaling for "the details" card. It felt a bit more personal then I wanted to post publicly. 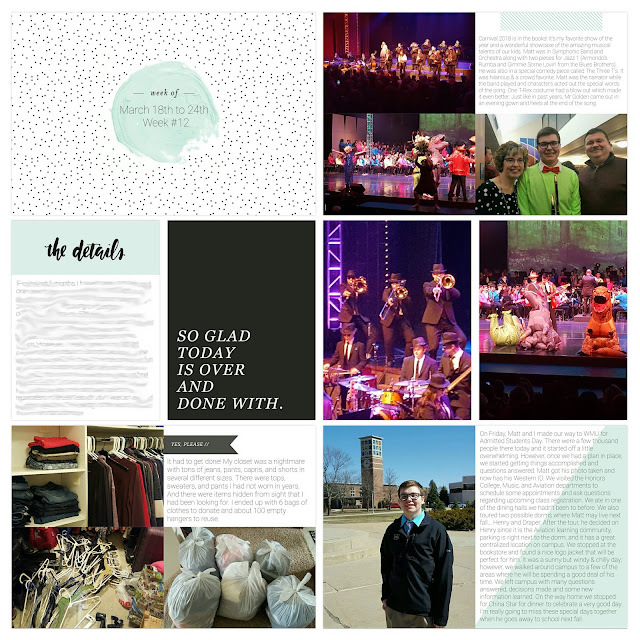 I used the Project 52 Fresh edition & Fresh Add-On kits in the Project Life App for this page. I also used the collage feature on 3 of the slots and brought them in as photos to my page.